This classic book is a straightforward introduction to linguistics which attempts to answer two fundamental questions: 'What is language?' and 'How does language work?' It outlines the scope of linguistics, explaining basic concepts and essential terminology with examples drawn mainly from English. Sound patterning, syntax and meaning - the inner core of linguistics - are discussed simply and clearly, as are the rapidly growing areas of pragmatics, sociolinguistics, psycholinguistics and stylistics. You will find this contemporary, easy-to-read book essential to broadening your understanding of the subtleties and power of language. Extra online articles at www.teachyourself.com to give you a richer understanding of linguistics. 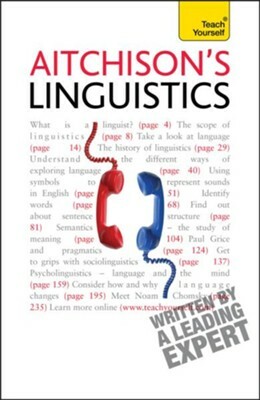 I'm the author/artist and I want to review Aitchison's Linguistics: Teach Yourself / Digital original - eBook.